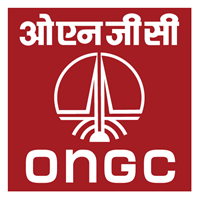 Oil and Natural Gas Corporation Jobs Recruitment Notification 2019.ONGC inviting applications for the positions of Assistant Executive Engineer, Programming Officer etc..Interested and Eligible candidates can apply for the positions. 1. Maharatna ONGC looking for young & bright executives in Engineering and Geosciences Disciplines at E1 Level through GATE-2019. 1. Maharatna ONGC looking for young & bright executives in Engineering and Geo-sciences Disciplines at E1 Level through GATE-2019.